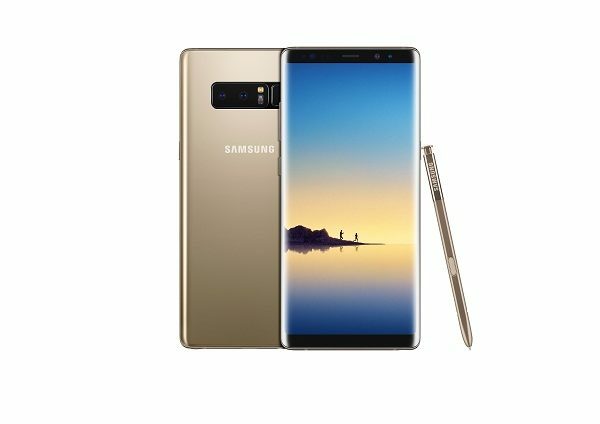 Samsung Electronics Co., Ltd. introduces the Galaxy Note 8, the next level Note for people who want to do bigger things. 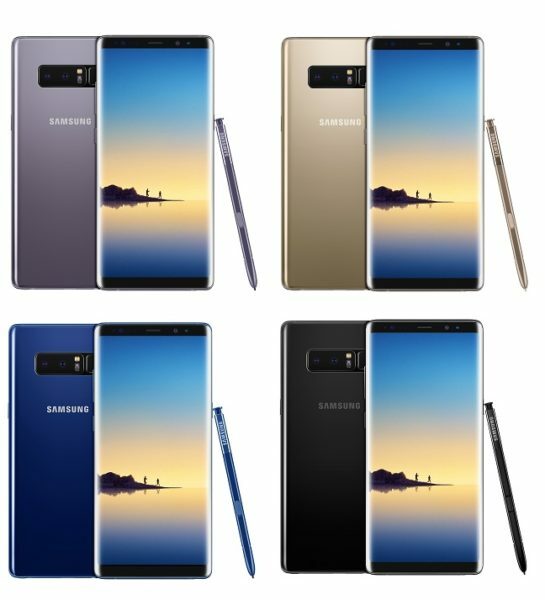 With the Galaxy Note 8, consumers get a bigger Infinity Display that fits comfortably in one hand, S Pen to communicate in more personal ways, and Samsung’s best-ever smartphone camera to capture stunning photos. The Galaxy Note 8 is designed for the way consumers lead their lives and lean on technology today. Samsung continues to uphold its commitment to lead the industry in battery safety. The Galaxy Note 8’s battery has undergone Samsung’s 8-Point Battery Safety Check—the most rigorous in the industry. So says President, UL International, Sajeev Jesudas, quote: “We have been closely working with Samsung to make meaningful advancements in the science of smartphone quality and safety evaluation”. The result is possibly the most well-tested Samsung Galaxy Smartphone in quite some time as Sajeev Jesudas points out, quote: “As a result, the Galaxy Note 8 has successfully completed a rigorous series of device and battery safety compatibility test protocols. We look forward to maintaining our strategic relationship with Samsung and helping ensure device safety for all consumers”. Since its introduction, the S Pen has been one of the Note’s defining features. With the Galaxy Note 8, the enhanced S Pen unlocks entirely new ways to write, draw, and interact with the phone and communicate with friends. It has a finer tip, improved pressure sensitivity, and features that enable users to express themselves in ways that no other stylus or smartphone ever has. When communicating with text just isn’t enough, Live Message allows you to reveal your unique personality and tell expressive stories. With the Galaxy Note 8, you can now share animated texts or drawings across platforms that support animated GIFs. It’s a whole new way to communicate with the S Pen—adding lively and emotional connections that bring your messages to life. The Always On Display allows Galaxy users to stay on top of their notifications without unlocking their phone. And with the Galaxy Not e8, it’s even more powerful. Screen off memo allows you to take up to one-hundred pages of notes as soon as you remove the S Pen, pin notes to the Always On Display and make edits directly from the Always On Display. 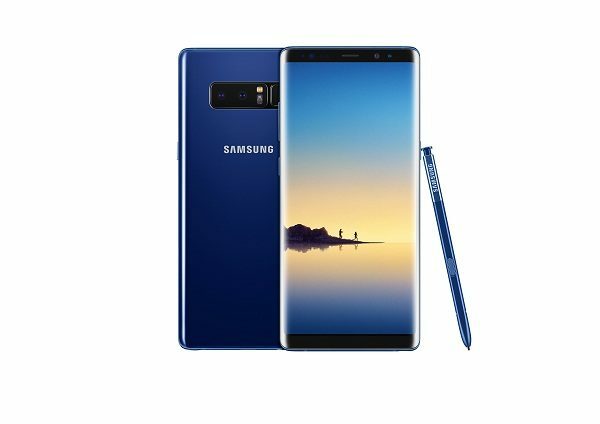 The Galaxy Note 8 is the first smartphone with two 12MP rear cameras with Optical Image Stabilization (OIS) on both the wide-angle and telephoto lenses. Whether you’re exploring a new city or running around your backyard, OIS lets you capture sharper images. For more advanced photo-taking, the Galaxy Note 8’s Live Focus feature lets you control the depth of field by allowing you to adjust the bokeh effect in preview mode and after you take the photo. The Galaxy Note 8 is also equipped with an industry-leading 8MP Smart AutoFocus front-facing camera for sharp selfies and video chats. So Enjoy and Do More with the Samsung Galaxy Note 8!